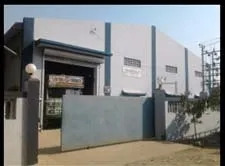 Established in the year 2007, Arihant Gold Plast Private Limited has attained a top reputation in the market for manufacturing, supplying and trading an outstanding range of Plastic Sheets. Our range of products include ABS Sheets, HDPE Sheets and Acrylonitrile Butadiene Styrene Sheets, among others. With the assistance of trustworthy vendors who supply premium raw material, our dedicated technicians and engineers are able to manufacture superior quality sheets that are used for a range of applications such as thermos-forming vacuum forming parts of automotive, chest coolers, refrigerator liner, luggage shell. They are also used for other industrial items such as offset printing, screen printing, files & folders, packaging, signage & graphics door cladding. Renowned for being termite proof, fungus resistant and lightweight, our products are catering to industries such as Automotive, Display & Danglers, Stationery, Packaging, Luggage and POP. With the expertise to offer customised products too, we have amassed a clientele that includes top players such as Telco, Samsonite and Cadbury. 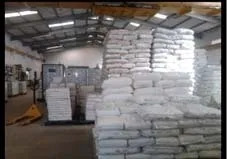 With a monthly production capacity of around 650 tons, we are benefitting from our state-of-the-art manufacturing facility which is equipped with sophisticated machinery and tools. . We have established a large distribution channel that allows us to carry forward timely delivery of consignments. It’s due to these principles that we have emerged as industry leaders in this niche marketplace. The brain child of two visionaries from the field of plastic engineering from MIT (Pune), “Arihant Group believes in teamwork, innovation, customer satisfaction and community services.” These ideals have been imparted on us by Mr Nimesh Trivedi, our CEO and mentor. Our production processes are carried out in a vast facility located in the urban locality of Lower Parel, Mumbai. This world class facility is equipped with advanced machinery and equipment. This unit is operated by a dedicated team of technicians, engineers and R & D personnel who are experts in manufacturing something new and different. Their efficiency in handling customers’ needs help us to effectively meet their customised requirements. We are widely known for delivering our products in customised patterns as per the specification given by the clients. Quality is the guiding philosophy of our company since its inception. 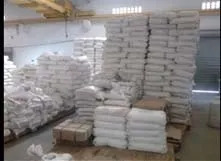 All our products are made from finest quality of raw material. Besides establishing a full equipped quality testing laboratory, we have adopted severe quality assurance methods to ensure a Zero-Defect Product Line. Also, our trained quality control experts keep a strict vigil on every stage of production, leaving no room for even a minor defect. The finished products are subjected to variety tests in our in-house laboratory in order to sustain the quality level. Our international standard Plastic Sheets are catering to several industries such as Automotive, Display & Danglers, Stationery, Packaging, Luggage and POP. These industries are using our products for various applications such as offset printing, screen printing and packaging. By virtue of our qualified professionals and dynamic approach to the matching market scenario, we have achieved dashing success. Having started in 2007, we have already emerged as one of India’s leading plastic extrusion sheets manufacturing companies. 2006: Sister Concern: SP Extrusion Pvt. Ltd. (SPEL) established in Silvassa with the 7th line.